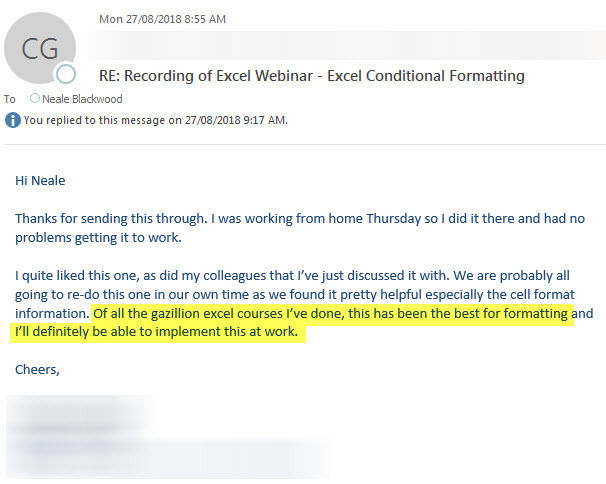 The Conditional Format webinars I ran in August were popular and well received- 94% feedback score. An email I received recently is shown below. To watch the recording and download the materials click here. It is always good to receive emails like this. You can read the article this relates to here. He was so generous with his content and I had thanked him for his contributions years back but it got me thinking about thanking others who had helped me along the way. The seventh on my Thank You list is Michael Alexander. 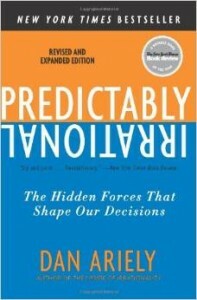 In more recent years some of my favorite Excel books have been written or co-written by Michael Alexander. 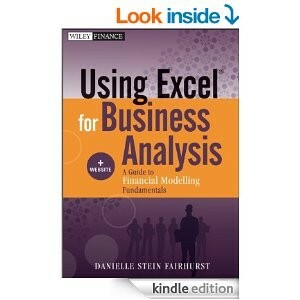 I like his style of writing plus he knows so much about so many different areas of Excel. He also knows a lot about Access. I own many of Michael’s books in paperback or kindle. 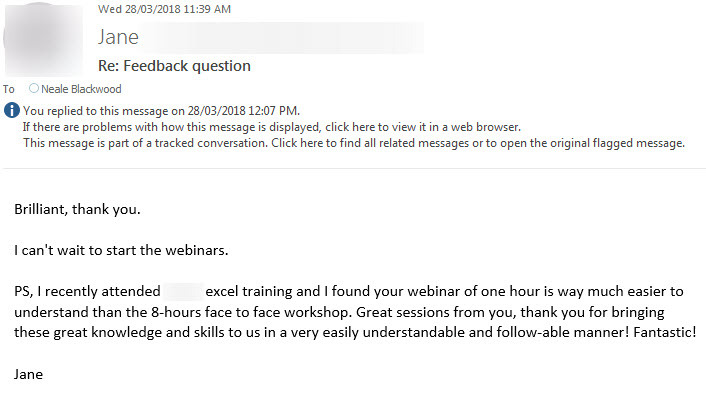 Thank you for sharing your Excel knowledge in such a practical and understandable way. 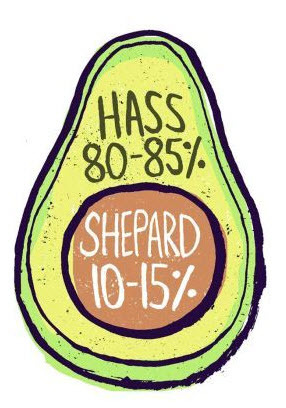 My Excel skills have improved from reading your books. Recently I learned about the passing of Chip Pearson, an Excel legend. My sixth Thank You is not Excel related. Nick Melchior worked for Wiley Australia at the time and because of my CPA articles he thought I could write a book. He asked me to put a book proposal together and he submitted it and supported it. It got through and 18 months later I had a 420 page book in my hands with my name on it as the author. A life-time dream come true. Unfortunately shortly after the book was approved Wiley wound down its Australian operations and Nick lost his job. I will always be grateful he approached me and had faith that I could write a book. Thank you Nick – you helped me achieve a life long dream. 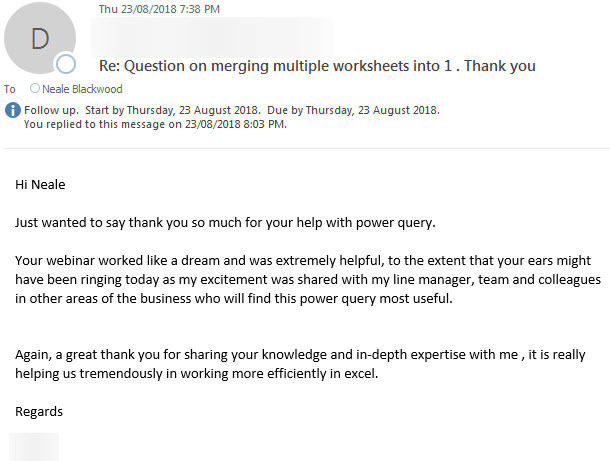 My first thank you messages were directed to people who helped me learn Excel. This, my fifth Thank You, goes out to the organisation that has helped me share what I had learned with others. 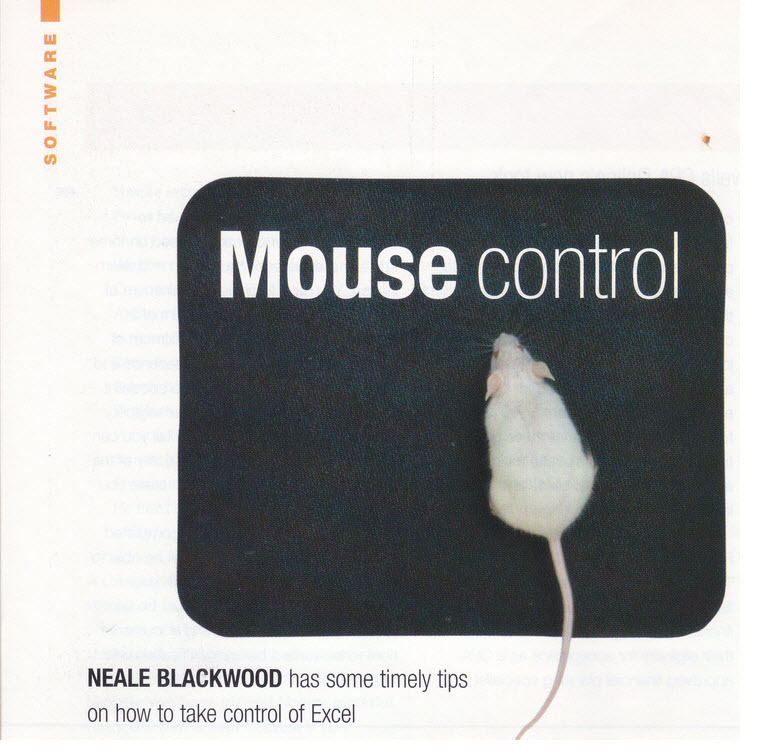 Thank You CPA Australia for publishing my first Excel article, way back in May 2002. Thank you for agreeing to do a regular Excel article in late 2002. The Excel Yourself series started out with a Q & A format. Initially the questions were based on questions I answered during training sessions. Then I started to receive questions from CPA’s from around the world. I still receive questions, but the quantity has dropped off due to Google and the many excellent online Excel forums. As at May 2018 there have been 170 Excel Yourself articles plus 8 feature articles. Articles now appear online and each has a companion video and many have companion files. Over the years I have also worked with CPA Australia in creating and presenting training sessions for conferences and running training sessions in regional areas. I have recently done a few podcasts, plus I have written extra posts and done videos for the INTHEBLACK website. Thank you CPA Australia for providing a platform to help me share my Excel skills with Australian accountants from around the world. It all started from that first article all those years ago. By the way the first article was about the Ctrl key and its shortcuts – see image below. The fourth on my Thank You list is Bill Jelen (aka Mr Excel). I have used the site’s forum to solve many problems over the years. The forum has many Excel experts answering questions and solving problems from people from around the world. Bill has written many books covering most of Excel’s topics. I own a few of his books and have read many more. He tells it like it is and is not afraid to say if he disagrees with changes made to Excel. Thank you Bill for being so generous with the your knowledge and for your huge contribution to the Excel community. My career is better for having read your books and used your website – thank you. My second thank you goes out to Jeff Robson from Access Analytic. Jeff hired me as an Excel consultant way back in 2006. He asked me if I knew someone who could do the job and I said I did – me! We had met a few years earlier and kept in touch. We had a few things in common, a love of Excel and a similar hair line and when I started we even drove the same car, a Hyundai Accent. We worked together for 4 years and my live is better now because we did. An extract of the thank you email is shown below. Last week I learned about the passing of Chip Pearson an Excel legend. The first is John Walkenbach. 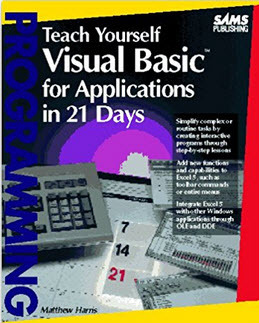 John’s books got me started in Excel. He has written about most versions and most topics on Excel. 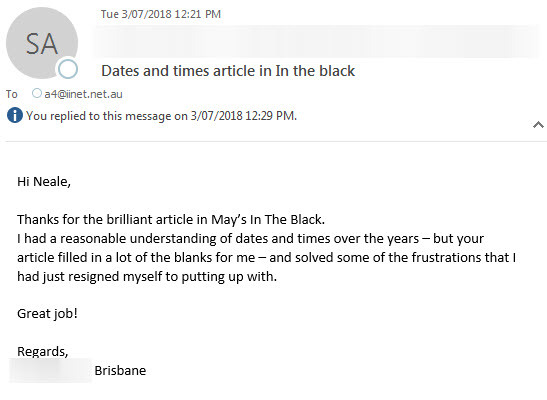 I sent him an email – an extract is shown below. Its great to get feedback like this. Webinars can be an effective alternative to face to face training. 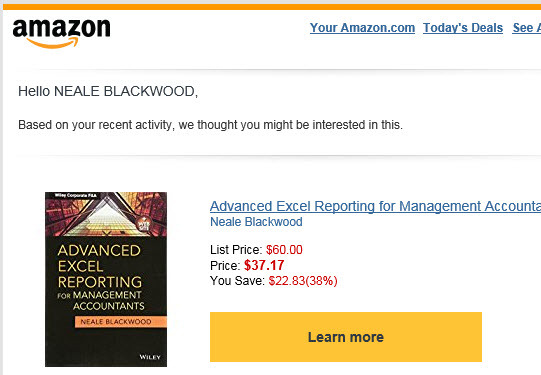 Bless their algorithmic hearts, Amazon are still trying to sell me my book. It was released four years ago in April. 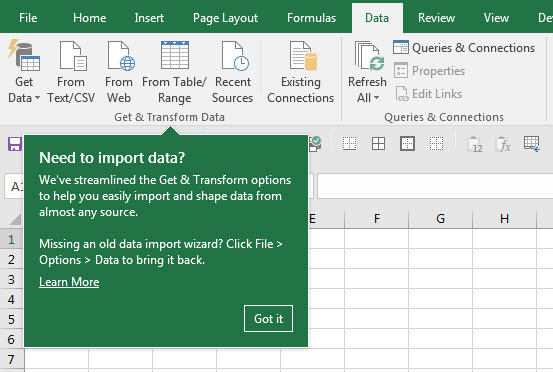 Power Query morphed into Get & Transform and now in the latest Excel 2016 subscription release Get & Transform has expanded on the Data Ribbon. 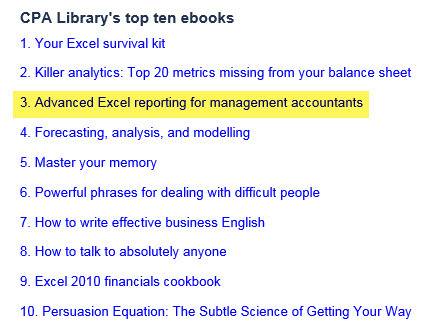 Woohoo – my book made it to 3 on the top ten e-books in the CPA Library. Filtering coming soon to the Data view in Power BI. Fingers crossed this gets done soon – patience everyone. Some articles make a greater impression than others. I was recently asked about a magazine article from August 2011. Someone had changed jobs and needed to be reminded of the rolling 13 month technique. The congratulations relate to 15 years of Excel Yourself! 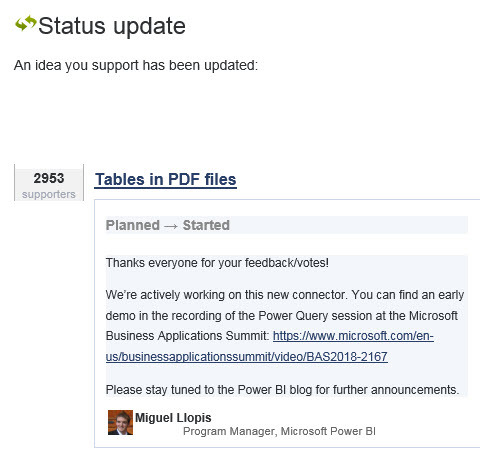 Looks like Power BI will soon be able to extract data from tables in PDF documents. Great to see requests being acted on. 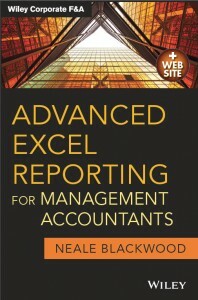 A recent email from CPA Australia listed my Excel book (Advanced Excel Reporting for Management Accountants) in the top 5 of all books – see list below. Members of CPA Australia can access electronic books for FREE via ProQuest – links are below. You will need to log in to the CPA Australia site to be able to access them. Which books have your fellow accountants found most helpful in advancing their careers? You may find the results surprising, with their top five covering everything from Excel and analytics to forecasting and getting your own way. Try these ebooks for yourself.